The best way to beat the Spanish heat in a refreshing and funny way. 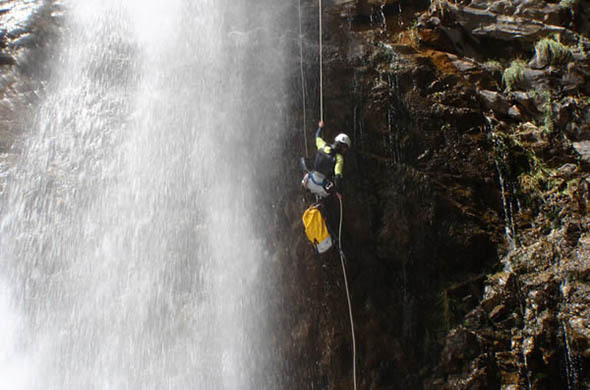 If you are in Madrid or Spain between May and September 2018 come with Patagonica to jump, slide and abseil through the best canyons and gorges. 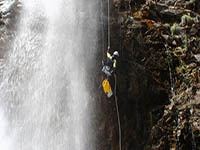 Dare with Canyoning!!! The best and most refreshing option in the summer around Madrid! 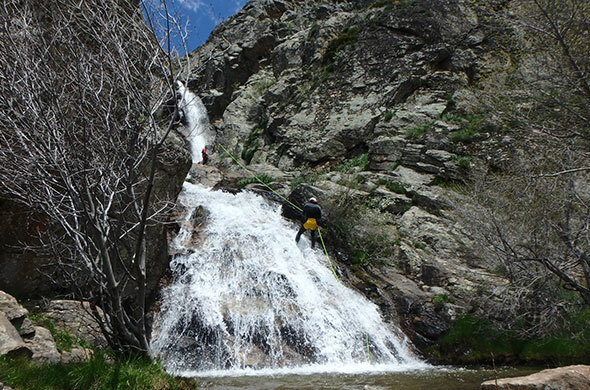 The Somosierra Canyon (Duraton River) is located in the mountain range of Guadarrama just 1 hour away from the Madrid downtown. All the weekends from May to September. From Monday to Friday: 10% discount. Appropriate clothing for mountain activities. Hiking boots or canyoning shoes. Swimsuit to wear underneath neoprene (avoid shorts type). Water (minimum 1,5 lts/pers) snack type food (nuts, energy bars) to leave in the car. Mobile phone and waterproof camera. Individual gear: Helmet, Harness, Wetsuit. Collective material: First aid kit, Ropes, technical Hardware (carabiners, belay devices, descenders). Not Included: Meals and drinbeks, transportation (contact us). Bigger groups phone for details or contact us. This will vary on depending on the nature of the booking and age of participants. Júcar (No abseils) - Recommended for begginers. Hoz Somera - Medium level. Meeting point: Villalba de la Sierra 10:00am. Group: Depending of the Canyon. The place where it all began. 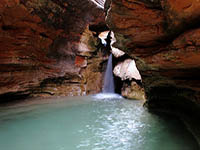 Only four hours away from Madrid, more than a hundred amazing canyons are waiting for a perfect for a weekend travel. 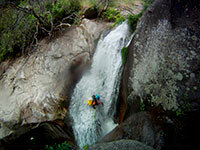 Fresh water, jumps, abseils and slides in Formiga, Oscuros de Balced, Peonera, Mascún, Gorgas Negras ... and many more! Hidden treasures that you will only discover while canyoning just a couple of hours from Madrid. 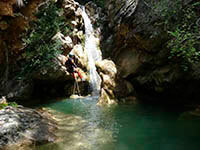 Discover Jerte Valley and Canyons as the Papuos, Arbillas or Nogaleas among others. 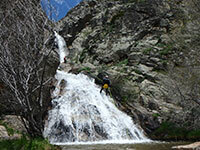 Avoid crowded places in the quiet and wild Gredos Mountain range. A perfect place to spend a lovely weekend sourrounded by nature and adventure! Spend a canyoning trip in the best place for the summer season. Great rivers, incredible scenery and best dinners. From easy canyons to enjoy with the family to more demanding ones if you are expert (Furco, Gloces, Viandico, Escuaín, Gorgol). 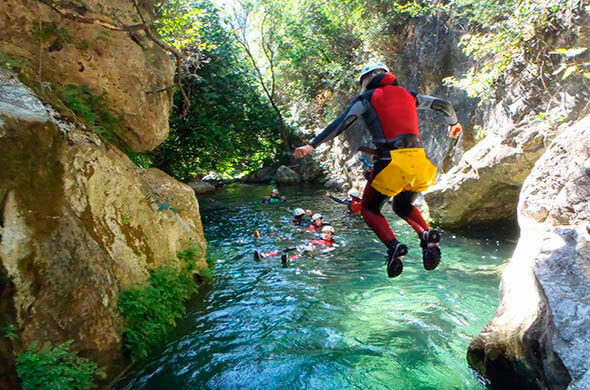 Tell us which are your goals and we will find the best options to fulfill a great canyoning trip! Water (minimum 1,5 lts/pers) snack type food (nuts, energy bars). Not Included: Meals and drinks, transportation (contact us). 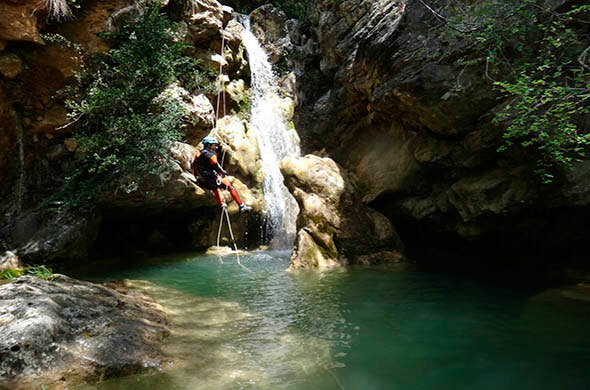 Descent the canyon that you have always dreamed of, accompanied by our canyoning instructors. Sorrosal, Artazul, Gorgonchón, Salto del Carpín, Papúos ... 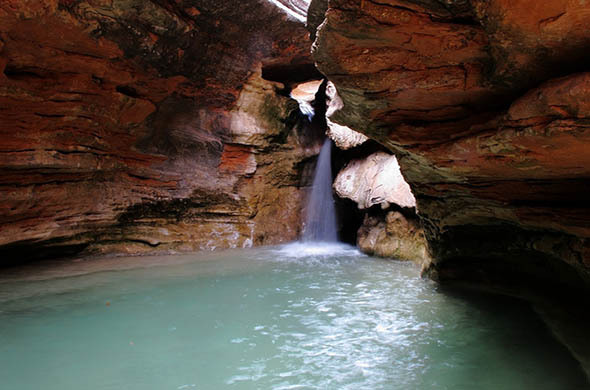 These are just some of the many that you can explore, unforgettable itineraries. Ask us and we'll make your dream come true. Cuenca, Gredos, Guara or Pyreenes Mountain ranges. Group: minimum 1 / maximum 6.